Backpacks give you two straps, one on each shoulder, to work with and there is no tendency for the bag to slip off the shoulder. The risk of shoulder/neck overuse injury is less likely to occur in this case. It’s better to use two straps at all times, so you can benefit of the weight distribution provided by the typical backpack. The natural shape of the shoulder is such that the part near the base of the neck is typically higher than the tip of the shoulder, creating a natural “down slope”. If you wear the sling bag only on one shoulder, the bag slides off the shoulder. This is why you need to lift up the shoulder to level the “down slope”. This is a reason for shoulder and neck muscle strain, resulting in pain and stiffness. There are five things that a good sling pack gives you: lightweight, security, easy shifting, organization and freedom on the move. A good sling pack weighs under a pound, which makes it easy to carry and causes less pain for your back and shoulders. When you have a sling bag, the risk of snatching from your bag is minimal. The sling pack is secured across your body and you don’t need to stress out about pickpockets. The sling pack is also easy to shift for easy access by only moving the strap slightly. A good sling bag gives you at least two compartments to organize your items. If not, you can get a large compartment and a large front pocket. Riding your bike is easy peasy when you have a sling pack. The pack is secured to your body and doesn’t hinder your arm’s movements. When you want to get yourself a sling pack, there are some tips to follow. Your sling bag should have a single strap that is long, padded and adjustable. The back panel of your sling bag should also have a padded back panel. This brings comfort to your back and no pen or sharp item could pierce through while you’re on the move. Most single bags are small, but some can fit your 15” laptop. There are various sizes of sling bags to choose from, depending on your needs and preferences. The fabric of your sling pack is also an important point to consider. If you think you’re gonna carry various loads, go for the stretchy fabrics so that your pack is flexible and adjustable. The level of waterproofness of your sling pack is also important as it’s almost impossible not to get caught in the rain on some trip/mission. 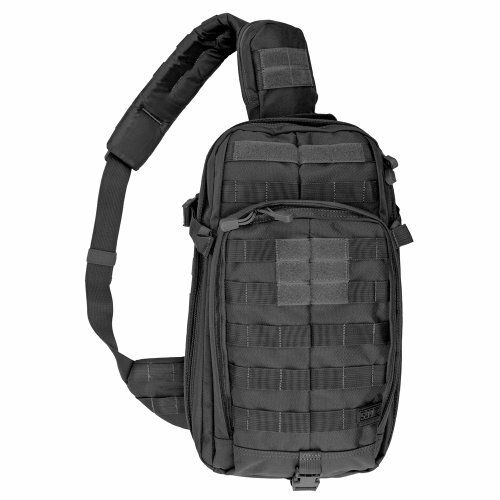 We’ll be looking at some of the best made and tough sling packs, that happen to also fall in the tactical category. 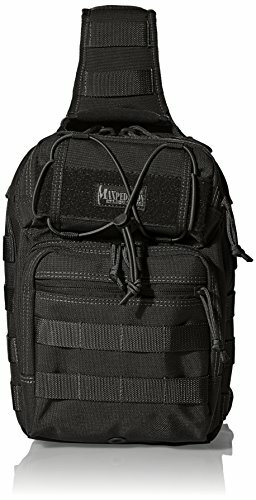 A tactical backpack may be a must when you work in law enforcement, EMT, search and rescue and other challenging jobs. 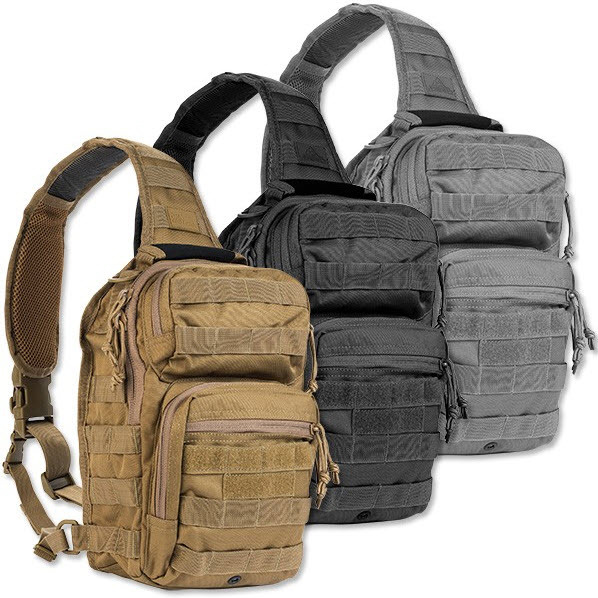 A good tactical sling pack is tough and holds up under the most demanding situations, yet remains comfortable enough, if not “invisible” when it comes to its weight. 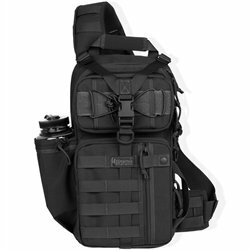 The tactical sling pack carries all your gear without getting bulky. It doesn’t have too many straps either so that they don’t get snagged. A popular sling pack doesn’t have many zippers and uses mostly straps and buckles to secure your gear. The 5.11 Rush 10 Moab gives you 18 Liters of volume to fit your items, and features the 5.11 Tier System that makes it attachable to any Rush backpack. All in all, this is a great buy and is worth every penny. You won’t be buying a lemon for sure. The Maxpedition Sitka Gearslinger is waterproof and protected by a final coat of DuPont Teflon fabric to repel the elements. we don’t fancy the zippers that much, as they are simply just to many. You need to handle too many zippers to get access. Do as we do and go the extra mile for this sling pack… you’ll have no regrets. The 5.11 RUSH MOAB 6 Backpack is part of the 5.11 collection and is an EDC bag that’s well made, with a great build. 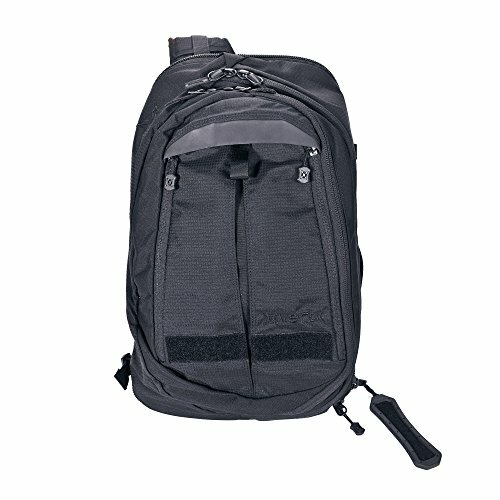 This sling pack gives you a little over 10 Liters of capacity but still gives you plenty of options and space to organize your gear. There aren’t many things to mention when it comes to the downsides of this pack, but we do need to mention some. Don’t get us wrong, though. We still like this pack, as it’s small and efficient. there are many pockets: front upper, front lower, front slip and rear pocket. It’s a no-brainer to see that there are far more good things to this sling pack than downsides and the ball is in your court now. Another versatile and highly organizable sling pack is the Vertx EDC Commuter Bag. With its well thought-out design and multiple options for organizing your items, this sling manages to have multiple qualities. As with all models, there are some things that we like less about this sling bag. the sling pack is not ambidextrous and the fact that you need to find yourself a specific model is a downside from our point of view. the material is kind of slippery in contact with the body. This brings discomfort especially when you bend, for instance and the pack slides away in the front. 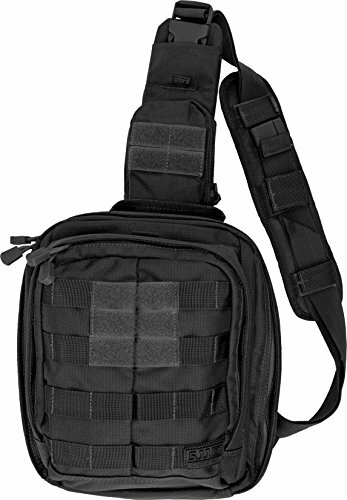 Nevertheless, this is still a very good, long lasting, highly organizable sling pack that is comfortable to carry.